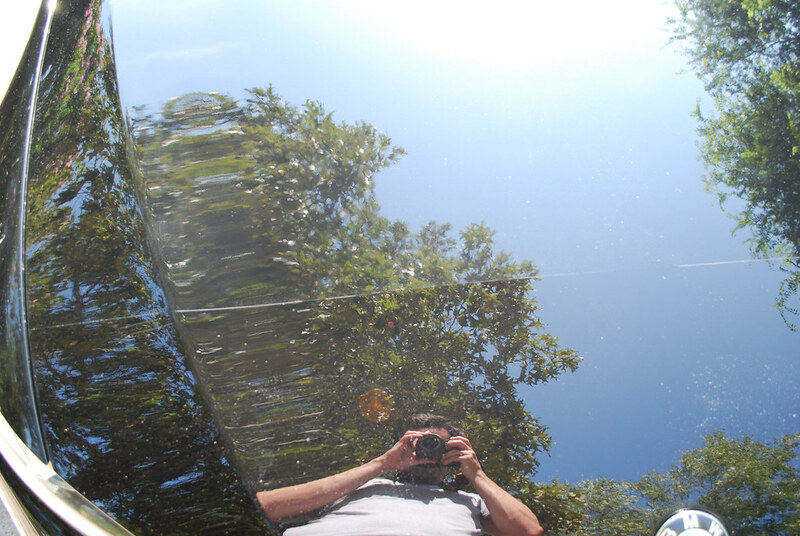 Some time ago, a client reached out to me in Atlanta and inquired about having an exterior detail done to his car. When he arrived to leave the car with me, we spent some time reviewing the exterior of the car. There was some form of over-spray on the car and I explained that until I could my hands on the actual problem I could not know exactly how long and how much the repair would cost. He understood and left. We did our typical wash and decontamination and quickly realized that the over-spray was not coming off by either chemical means or clay bar. A little bit more testing showed that only a heavy compound was removing the over-spray. This was not the best news because there was no cheap way to compound the surface and follow up with the necessary polishing and jeweling to finish the surface down properly. I reached out to the owner and explained that the repair would be expensive. He understood that time was money and there was no cheap way to repair the damage but still was not up to spending that amount. He said he would make a go at repairing the damage when he had time. He picked up the car and left on good terms. A week later, I was out of town with my family. Because I had spotty service all of a sudden I get two text messages and a few voice-mails. All were from the owner of the over-sprayed car. He sent me a picture and left me a few urgent messages to call. Long story short, he had used some type of solvent from Home Depot on the hood paint and clear bra. What resulted was major clear coat and clear bra damage. He knew it went above his head and wanted to bring it back by for repair. We removed the clear bra as it was totaled and what was left was a small portion of the hood in perfect shape and a large portion with major chemical damage. The clear coat looked like it was turned into a semi-solid then set back up with a lot of haze and funky orange peel. 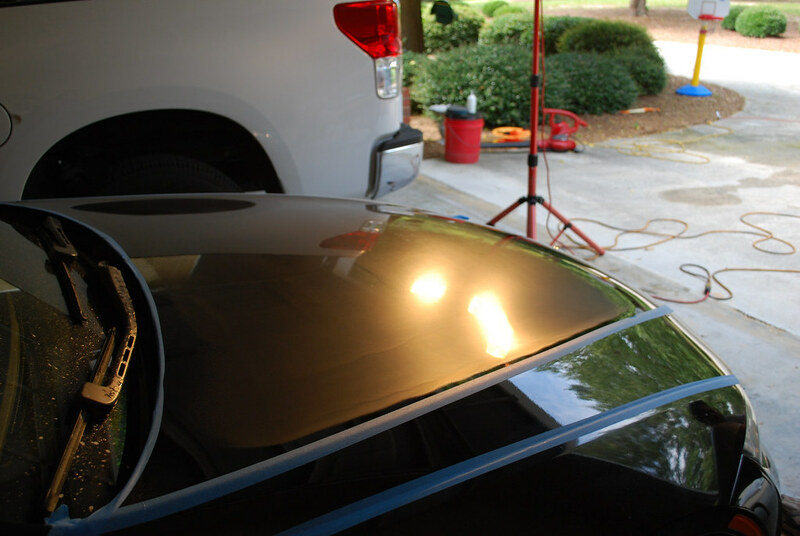 Once the clear bra was removed (bottom portion), we see the scope of the damage to the clear coat. Under critical lighting we can see the chemical damage. Unfortunately, the new damage was more intense than the previous over-spray. 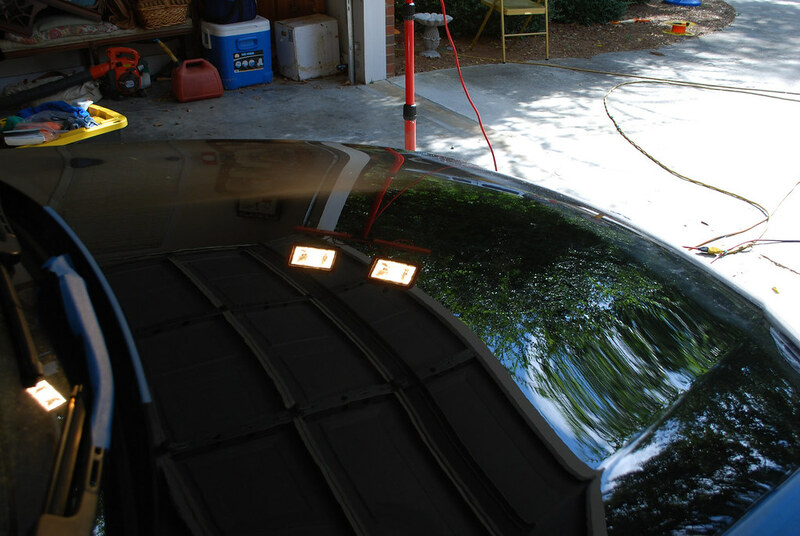 The cost of the project was increased substantially due to loss and replacement of the clear bra, the wet sanding that was required and all the following steps to finish down the wet sanding. After wet sanding we were able to clean up the chemical damage. The near side of the hood is corrected, far side still has sanding haze. 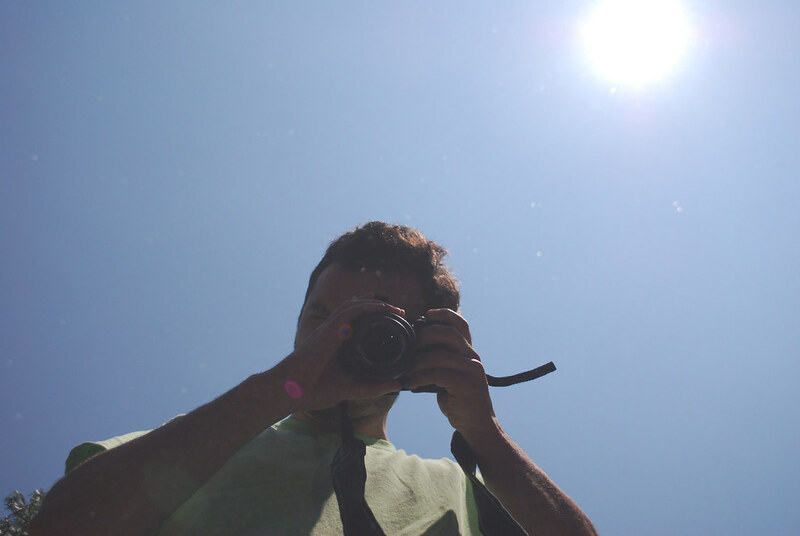 Beyond new, even the hair on my arms are reflected clearly. In this case, the repair for the “repair” was more than the original bill was going to be. This was a unique situation where some over-spray was not budging when using typical means while trying to fix it. Most “oops” situations are going to be relatively minor. But this could happen to anyone. This is where expert detailers have the experience to understand when to use chemicals, how to use them safely and when they should stay on the shelf. By taking advantage of their expertise, you empower yourself to have more safe options. This isn’t a story of picking on anyone for trying to fix a problem by themselves. Good luck to any of us making it through life without at least once making a mess of something we are “fixing”. This is more about understanding that sometimes the best option is the one that cost more. Finding a cheap solution to a major problem can be like jumping in the rabbit hole, you never know how you’ll get out or how long it will take till you do get out (or how much you’ll have to pay to get out). Nice save! and a great lesson learned… thanks for sharing! 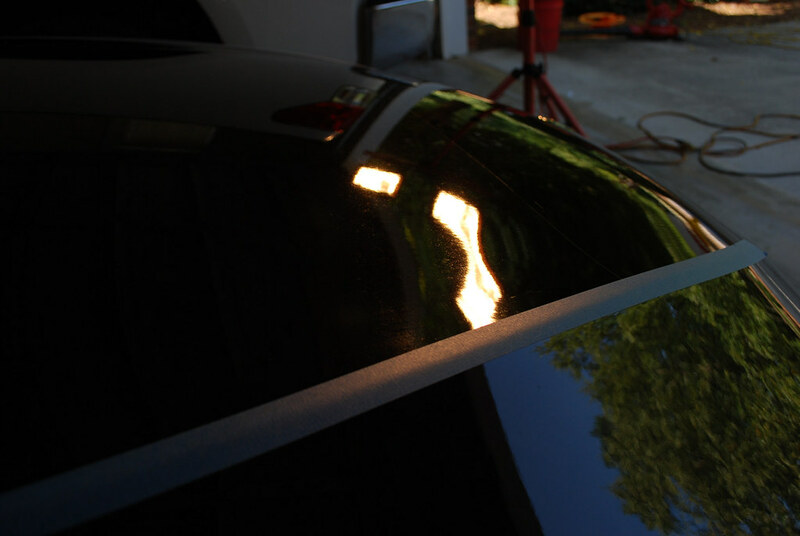 I have had several cars come to me after one had said they could fix the paint themselves and found out in the end that they did not have the experience or correct tools to be able to fix the surface. In a few cases the damage caused was beyond repair due to either sanding or using heavy abrasives with a wool pad at high speeds. They tend to listen to you after they mess their car up. It’s human nature. I’ve done something similar at some point in my life with something else and had to call upon an expert to get me right. Since then, I’ve turned a corner and will happily let an expert take the lead on something I know little of. Good read, these things happen often, yet many think they knkw what they are doing and don’t have the humility to admit when theh need to let an expert fix it. A notable one for me was correcting swirls all over a Porsche Turbo. I gained a customer for life with that one. And I agree, I have definitely managed to make things worse on occasion. Luckily I only get so bold when it is my own car.